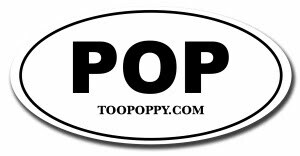 In an alternate, Too Poppy universe, you might hear Mark Bacino's latest album Queens English soundtracking the latest Meg Ryan-Nora Ephron rom-com or maybe the biggest animated hit of 2020: Toy Story NYC; chronicling Andy's post-college adventures in the big city and his burgeoning domestication as he hunts down his favorite plastic friends so his own kids can experience the magic. You might see Mark on the piano singing his newest single Happy surrounding by furry monsters on Sesame Street - a better fit than say Camp Elmo despite the title. Most excitingly in this wishful-thinking universe, we'd seen Mark open up for a reunited Jellyfish for a match made in Too Poppy heaven. I'm not trying to be flippant about Mark's new album. I'm trying to convey the images and feelings it evokes through its sounds, lyrics, and infinite hooks. It's a love story (or better yet, a romantic comedy) to New York with a sonic accompaniment you'd expect from Harry Nilsson. It's a reflection of that inevitable jump from a carefree lifestyle of smoky clubs and debilitating hangovers to one of diapers, stability, and responsibility. It's playful and clever yet pensive and substantive. Mostly, it's respectful of its musical heritage with seemingly deliberate nods to Nilsson, Bacharach, Newman, and Costello while joyfully blazing its own modern path fearlessly void of hipster trappings. Queens English is a record in its purest sense - 11 songs in 26 minutes - and it's a welcome relief from the format-less bloating we tend to see too often in a digital world. You know every second and every note is there for a specific purpose; a precision the purest pop fans can appreciate. I'm late to the Mark Bacino party. 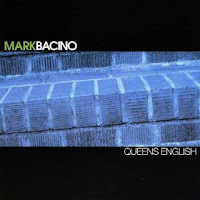 Not only was Queens English released this spring, Mark has forged a strong fanbase with his previous, so-called bubblegum releases. So be it because I'm so happy to have bumped into him. could be one of the worst videos ever made. I agree with the first anonymous poster.